There are more species of freshwater mollusks – well over 5,000 – than all the mammal species of the world. Mollusks are also arguably the most endangered freshwater fauna on the planet. 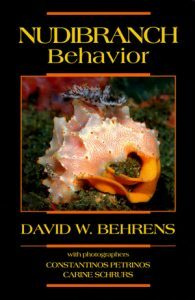 Yet few references exist for researchers, shell enthusiasts, and general readers who are interested in learning more about these fascinating creatures. In Freshwater Mollusks of the World, Charles Lydeard and Kevin S. Cummings fill that void with contributions from dozens of renowned mollusk experts. Mollusks provide us with amazing biogeographical insights: their ancient fossil record goes back over 500 million years, and their distribution patterns are a reflection of past continental and climate changes. 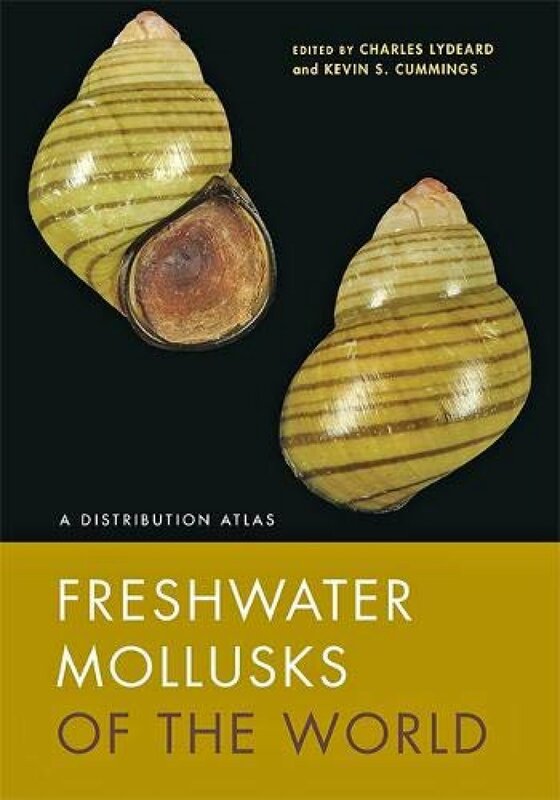 The only comprehensive summary of systematic and biodiversity information on freshwater mollusk families throughout the world, Freshwater Mollusks of the World is a must for malacologists, limnologists, ichthyologists, stream ecologists, biogeographers, and conservation biologists. Nudibranchs are among the most beautiful creatures on the reef, with colors and shapes that dazzle and delight. Unlike fish that may disappear before our eyes in a flash, the showy nudibranchs glides slowly along the substrate, allowing us the time to savor this extraordinary sight. With their shell-less unprotected, bodies how do they survive in seas filled with hungry mouths? How do these sightless creatures navigate the reefs to find food and mates? What and how do they eat? How do they reproduce? What special relationships have they developed with other reef inhabitants? These and many more questions are answered in this informative and well illustrated book. You will never look at a nudibranch the same way again. Land snails are perhaps among the most misunderstood of Australia’s invertebrate fauna. To most people they have a largely unpleasant reputation earned through encounters with a relatively small number of introduced species that damage crops and backyard vegetables and introduce diseases. This field guide attempts to set the record straight by introducing the reader to the vast diversity of native species living in the forests of eastern Australia. 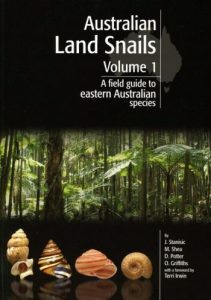 This volume covers 794 species and 3 subspecies (native and introduced) in 44 families, ranging from Cape York down to the New South Wales /Victoria border. It contains 2000 colour images, distribution maps, key localities and habitat and ecology notes. Artist/Author: Mather, Jennifer A., Roland C. Anderson, and James B. Wood. The visually arresting and often misunderstood octopus has long captured popular imagination. With an alien appearance and an uncanny intellect, this exceptional sea creature has inspired fear in famous lore and legends – from the giant octopus attack in 20,000 Leagues Under the Sea to Ursula the sea witch in The Little Mermaid. Yet its true nature is more wondrous still. After decades of research, the authors reveal a sensitive, curious, and playful animal with remarkable intelligence, an ability to defend itself with camouflage and jet propulsion, an intricate nervous system, and advanced problem-solving abilities. In this beautifully photographed book, three leading marine biologists bring readers face to face with these amazingly complex animals that have fascinated scientists for decades. From the molluscan ancestry of today’s octopus to its ingenious anatomy, amazing mating and predatory behaviours, and other-worldly relatives, the authors take readers through the astounding life cycle, uncovering the details of distinctive octopus personalities. 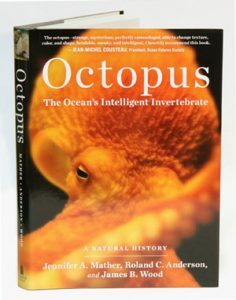 With personal narratives, underwater research, stunning close-up photography, and thoughtful guidance for keeping octopuses in captivity, Octopus is the first comprehensive natural history of this smart denizen of the sea. Features more than 12,000 photographs of the 5,500 worldwide species of marine gastropods collectors are most likely to encounter when starting a shell collection. 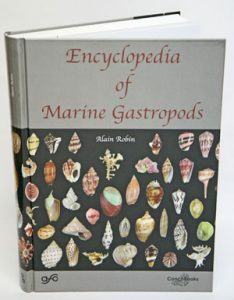 It is therefore an indispensable book for both avid shell collectors as well as admirers of the ocean’s diversity in gastropod shapes and colours.